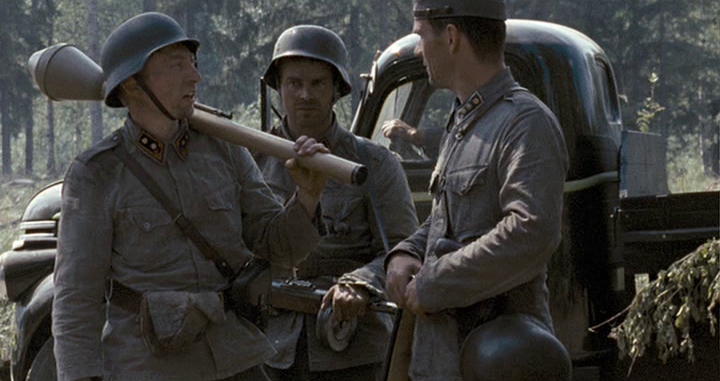 Schlacht um Finnland (2007) is a docu-drama, an action film that documents the intense Battle of Tali-Ihantala in 1944 between the Finns and Soviets. 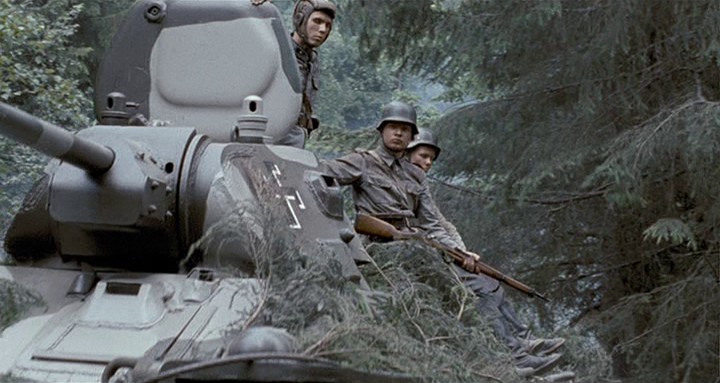 The film also goes by the title Tali-Ihantala 1944, and my version carried that as a subtitle. It was directed by Åke Lindman and Sakari Kirjavainen. Here’s a bit of historical background for those interested. If not, scroll down for the actual film review. The battle of Tali-Ihantala was the largest and most decisive battle in the Nordic area, and though constrained to a small part of the Karelian Isthmus between Vyborg bay and the Vuoksi River. The Karelian Isthmus is that most contested and strategic part of land so frequently disputed between Russia and Finland. In 1939 the Soviets demanded the Isthmus and other border lands from Finland claiming the need for security. When denied, they invaded. That illegal war was condemned by most nations, but in the end, the Soviets pressed for a treaty and acquired 30% of Finland’s economic power with the acquisition. It is an twisted fate that the Soviets could lose so many men, abandon so much material, and essentially lose a war, yet gain their goals in the end. In 1940 the Winter War ceased, and Finland regrouped. In the summer of 1941, Germany invaded the Soviets. Finland, being at odds with the Soviets as well, accepted aid and materials from the Germans in a case of ‘the enemy of my enemy is my friend.’ Finland saw the opportunity to regain its losses from the prior years, and as such, they term this conflict The Continuation War because it is, to the Finns, the same battle. 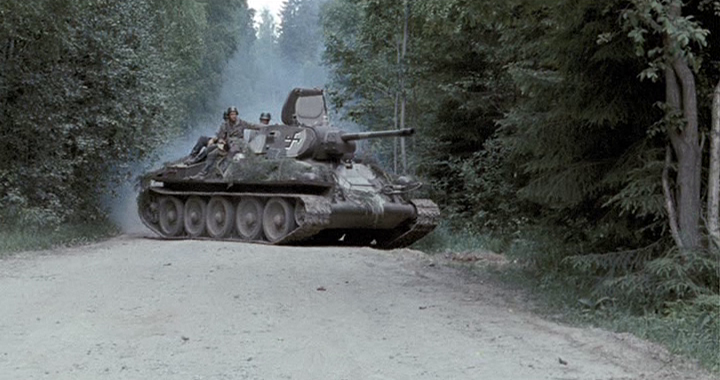 The Germans viewed the Finns not so much as an ally, but as a convenient co-belligerent against the Soviets. The Soviets viewed the battle no differently than before, a battle for necessary land and security. There are some who have offered some evidence that the Soviets would have gladly pursued the Finns all the way to Helsinki in a bid to take the nation. There is little doubt in retrospect (though the Russians deny it) that the communist juggernaut was looking forward to the end of this war in order to secure as many nations and lands as possible for the communist cause. The Soviet Great Patriotic War was much more than a battle against the Nazis, but larger, it was an opportunity to take over Europe. 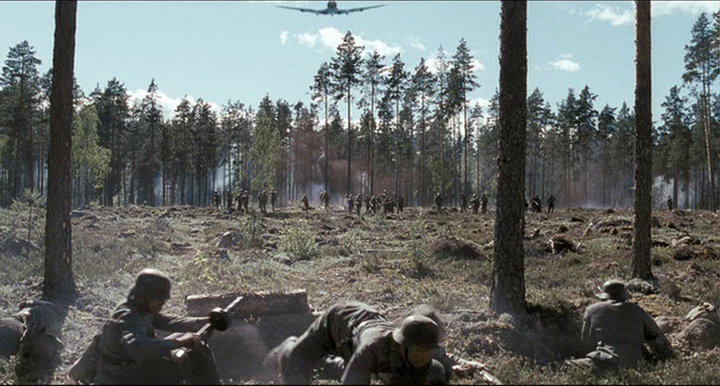 The Continuation War raged on, and in 1944, the Finns stopped the Soviet advance at the VKT-line. This epic conflict is called the Battle of Tali-Ihantala. 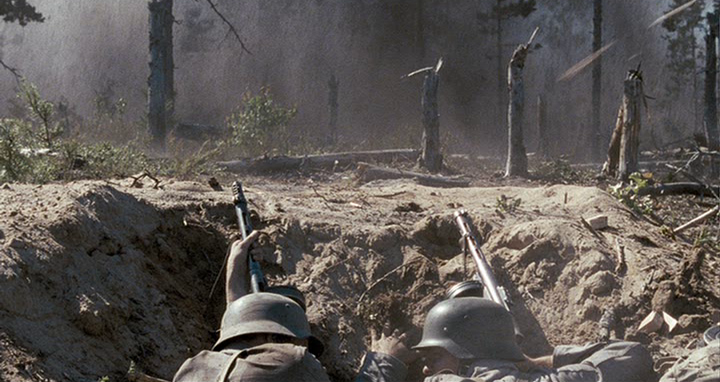 First the bad – As a dramatic war story (which the film is not chiefly supposed to be), Schlacht um Finnland is rather flat. Its got wooden dialogue and runs more like a re-enactment more than a story. I’ve read that the movie is supposed to be the viewed through the lens of five different soldiers’ lives, but I did not pick up on that at all. 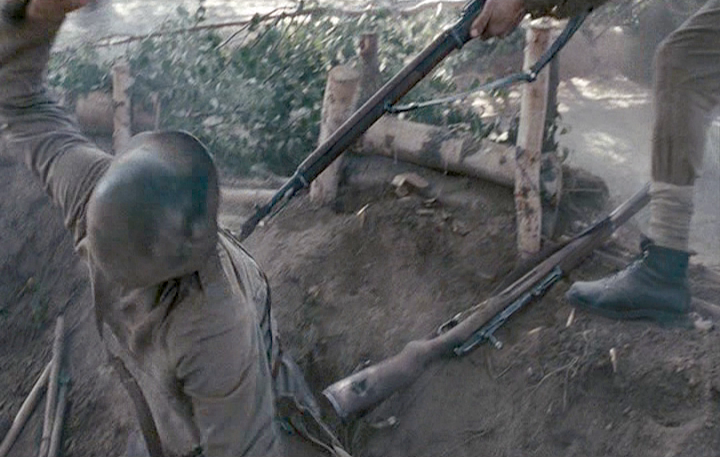 I hardly connected or formed any empathetic bond with any of the soldiers as characters in a story, which makes it hard to ‘root for the good guys’ in a war movie. The English subtitles are pretty basic, and the actual dialogue seems at times forced and awkward.On my DVD edition, the default language was German, both in the dubbing and the subtitles. Be sure to view and listen with the original Finnish language selected, as the German dubbing it either flat or over-acted. Who wants to watch the Finns speak German, anyway? I know Finns are said to be more stoic than many of the rest of us, maybe its a cultural thing that they seemed a bit inhuman and blank. I did not find this same difficulty in other Finnish films, however. I was able to form empathetic connections to even minor characters and follow the human stories in Pekka Perikka’s The Winter War (1989) and in Olli Saarela’s Ambush (1999). 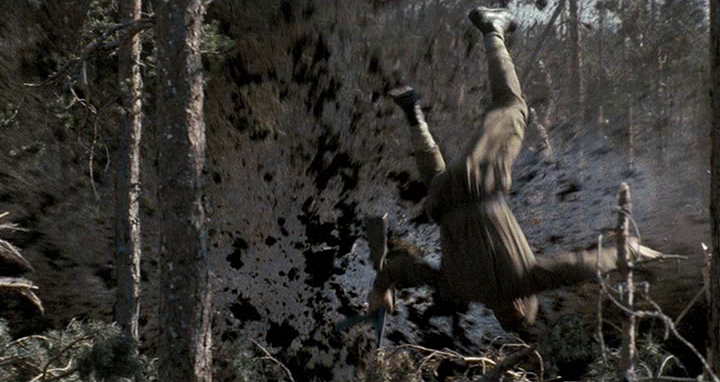 Neither of these Finnish combat films are high on the scale of being masterful stories, though they are far more successful as stories than Schlacht um Finnland. The difference, I believe, is that those two films tried to tell a dramatic story, while Åke Lindman and Sakari Kirjavainen are trying to show us the battle. 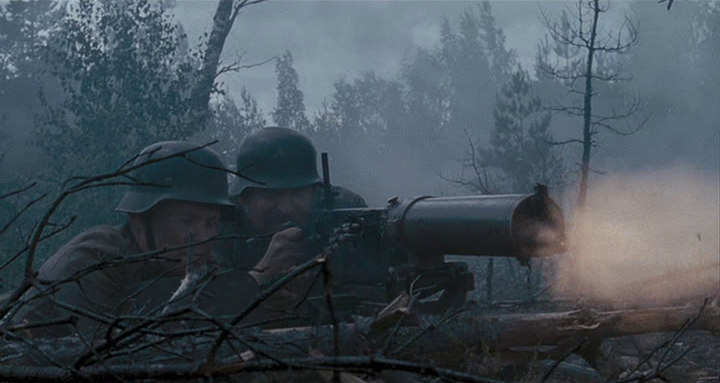 So yeah, I prefer a good story interwoven into a war movie, but enough of that. Why then am I spending so much effort and space on this film? Because I loved it anyway. Here’s the good part. As a history buff and a fan of historic military hardware, the movie was like a well-made window into a lesser-known conflict. 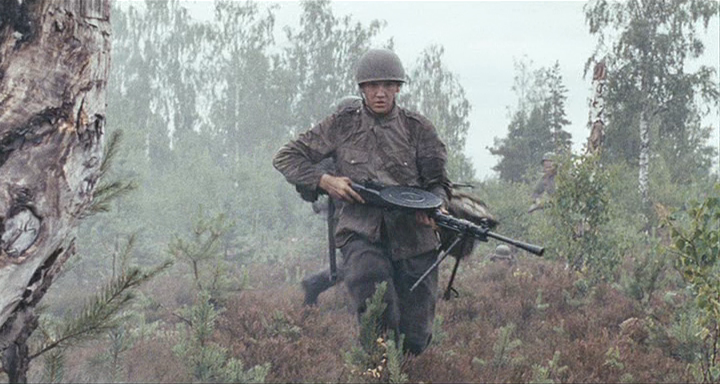 According to the film’s IMDB page, “Co-director Sakari Kirjavainen explains that in many scenes the camera ‘just happens to be there.’” They were successful in creating a dramatized documentary. 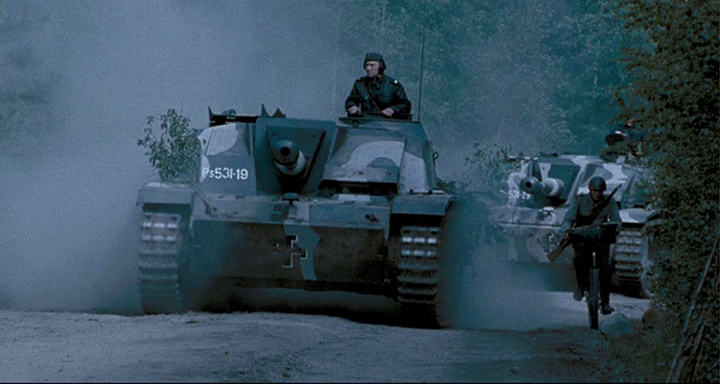 The film followed the historical events pretty closely, even mapping the advances of the front for the viewer. The action was well-paced and believable, the visual effects were well-executed, and the sound was convincing. There was a distinct absence of the blood and guts that you might expect in a modern war flick, and that didn’t detract at all (its rather refreshing). The artillery barrages were particularly well executed since the explosions were not the silly orange gasoline-fireballs so often used in other films for a cheap dramatic flame effect. As for the hardware fielded, it was a special treat. What a great mix of rarely seen versions of tanks and assault guns! There was a German Sturmgeschütz III (I’m not sure what sub-variant of StuG III it was ), a medley or T-34s, including T-34/85s with their large cast turret, and earlier T-34/76s with their smaller turrets, 85mm gun, “Mickey Mouse” hatches or single hatches. I’m a T-34 fan, so it was a feast for the eyes. 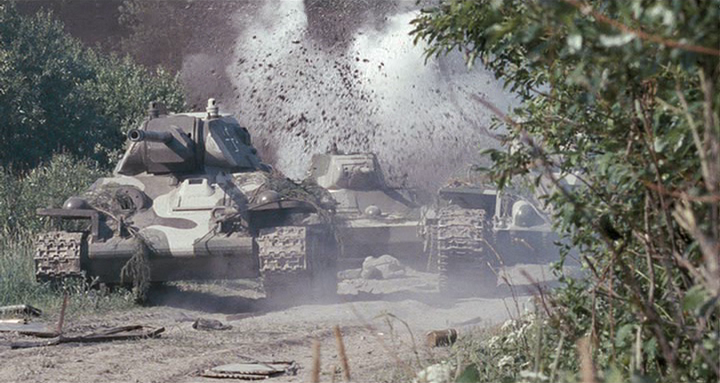 And its not every day you see a KV-1 represented in a film either, even though this one is built on a modern Soviet tank chassis. What a beast. Those machines representing the Finns were all painted in proper Finnish camouflage. Its a fantastic touch. There is an accurate-looking Focke Wulf FW-190A that makes an appearance too. Its a replica, but that’s better than some films that use a different aircraft altogether to stand in for a period machine. That said, if I wanted, I could comb over the film and look for technical errors on the the tanks and aircraft and weapons war film buffs are prone to do. I might find a post-war radio antenna here or a modern weld pattern there, but no one likes a nitpicker. Just enjoy the film. 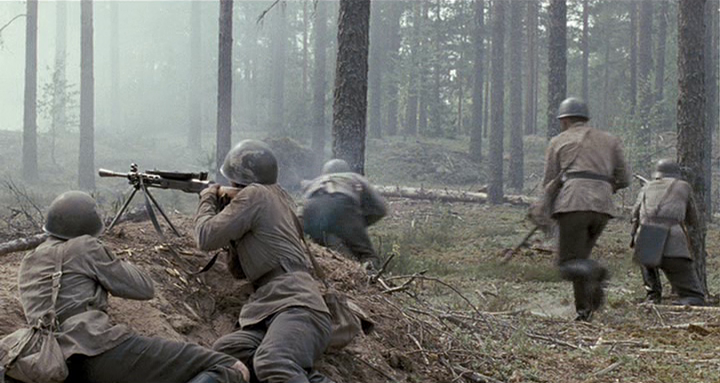 The firearms were appropriately sourced – there were Finnish Mosin Nagants galore, and the venerable Suomi M31 submachine gun was the preferred front line weapon. 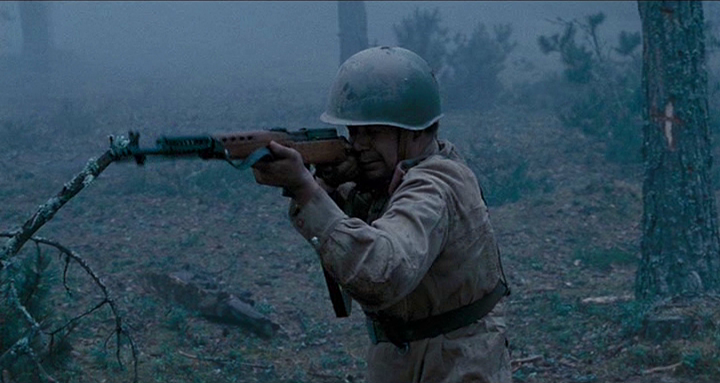 It was nice to see the M39s in large numbers in the film, as this rifle marks the pinnacle of Mosin Nagant development. I spied a Lahti L35 pistol of two, and surely a sharp eye could find some other period weapons like the SVT-40 below. The uniforms were very well done, and the mix of old and new helmets, Russian and Finn helmets, accurate-looking materials and well-tailored. Overall, the effect was of a thoroughly proper historical recreation that was expertly filmed and produced. The terrain and dense woods and soggy marshes made for a tough battleground, the importance of taking and holding roads and clearings was evident, and the flow of the battle seemed to be communicated quite effectively. I thoroughly enjoyed the film as a niche viewer who likes authentic battle recreations and appreciates the difficulty of a production. The drama and story-love in me was left unsatisfied, but I will definitely watch this film again for the visual treat it provides. It was well-produced film – color grading and post production was just a little heavy-handed in my opinion, at times, but usually I did not notice (and that’s good). Even the fonts used to document situations was a very northern European, period typeface that adds to the Finnish look and feel of the whole experience. Bravo to the producers for small details. As a docu-drama, it succeeds at telling the story of the battle with excellence, and gets a A+ rating. If you are looking for someone to root for and a dramatic story, this is not the film you want.